Added tree view. This will display grand totals of all the members that are in your down line. 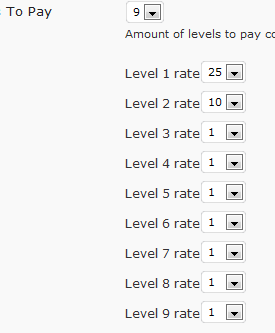 In the admin area I added a option to set the amount of levels to pay on. 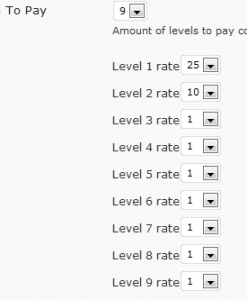 From there this menu will generate the appropriate amount of boxes that can be used to set the percentage to be paid on each level. In order to store the data efficiently I created this table. Upon a user activation I added a hook to build the new users full tree. From there I tweaked the supporter-amazon.php and paypal file as there was a bug that was causing the affiliate payment process not to load. Also on the affiliate program there were some other random fixes. I worked the code regarding a user showing up on a user page without a referralid. It now cross references the blog that they landed on with adminstrator of the blog. It uses that data to set the cookie. There was a problem with the cookie being set by the ‘ref’ get query.. However at that point in the code it was not defined. // We are here if there isn’t a reference passed, so we need to check the referrer. // within a time period gets the cookie. // Check for mapped domain. 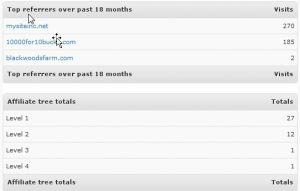 // Write the affiliate hash out – valid for 30 days. Hi, I am building a multisite and I have ran into a problem. I was wondering if you could help me. I am using membership and affiliates from wpmudev.org. I really need the affiliates to work with membership, but most importantly, I need the payments for my affiliates to be residual. Do you have any ideas on how I can achieve this? I have tried all kinds of membership scripts and I am really hitting a brick wall at this point. I am hopeful the membership and affiliate plugin can do what I need it to do. I would check to make sure PayPal subscriptions are being correctly renewed. 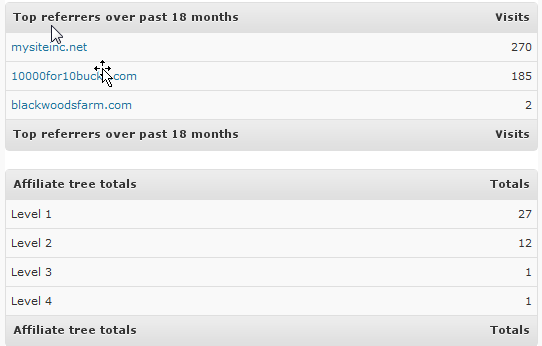 For example the supporter mod has a PayPal gateway script that gets pinged every month by Paypal for each renewal. If that is not working, the commission will fail. Some server side caching technologies can block the successful operation of the script. Therefore, it is important to setup exceptions for those scripts. Honestly, I went through the affiliate plugin line by line debugging it with my setup and making changes in order to get it working with our solution. The version I am using now is customized rewrite. Joseph, based on your last statement (There was a problem with the cookie being set by the ‘ref’ get query.. However at that point in the code it was not defined.) I am wondering, does this code work or are you still working out the bugs? Next PostNext BuddyPress BP admin bar mod work.